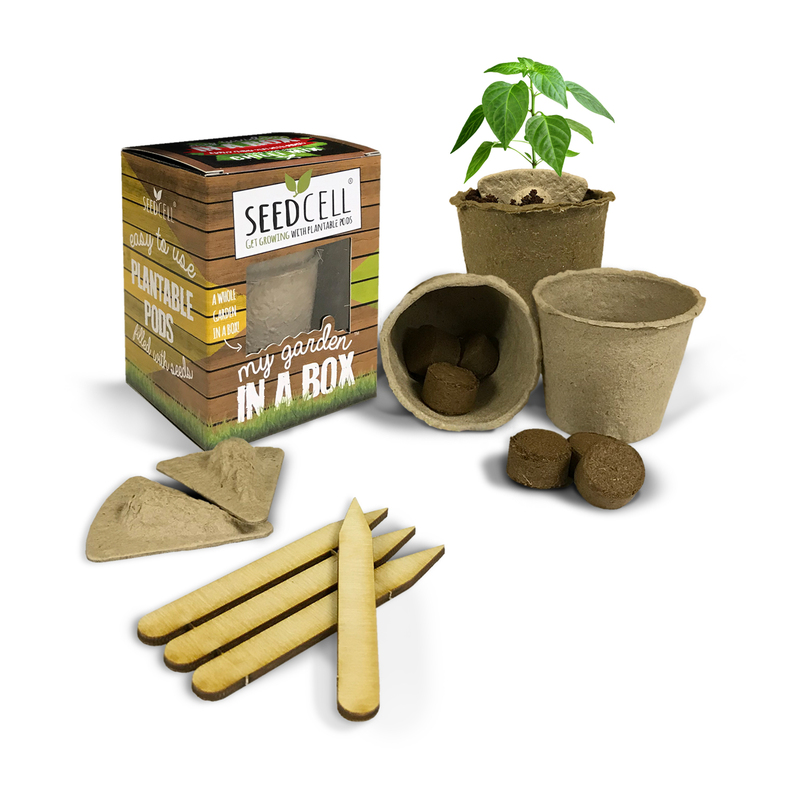 Grow your own chillies with this chilli in a box kit. This simple kit is easy to use with growing your own Cayenne Pepper and Jalapeno. Each plant pot is biodegradable and plantable. Plant the seed pod in the soil and water daily to grow your own chillies.